address, verify their identity, and then complete an insurance application -- just to browse available options. 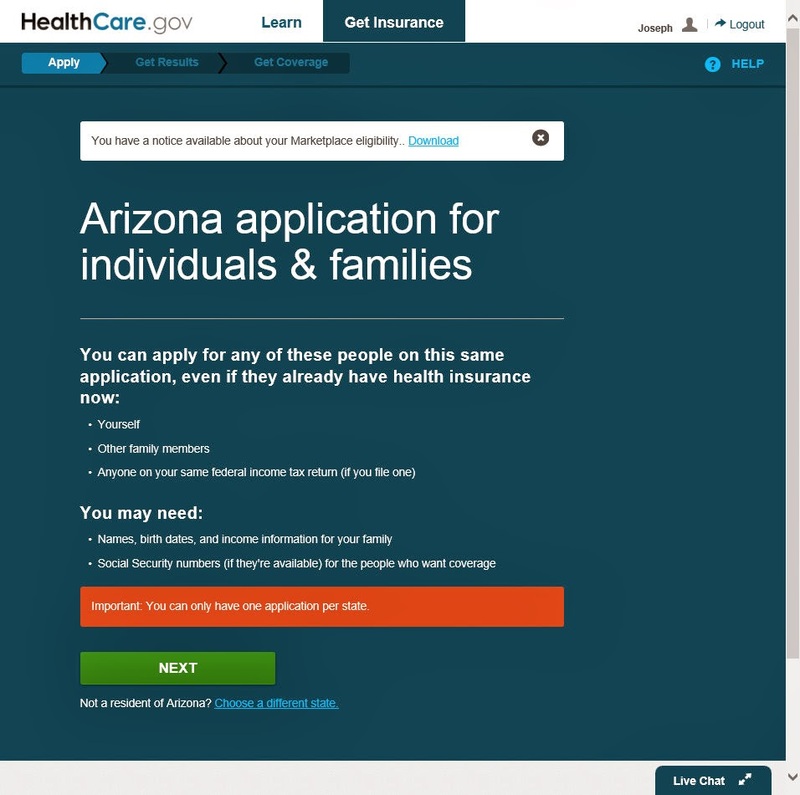 This design forces all users -- even those who are just curious and have no intention of buying insurance -- through an unnecessary funnel. This is not how high-performing high-volume websites are designed. I went down this funnel as required, telling it that I was interested in insurance for only a single household member. Once that application was processed (which I didn't even submit for processing), the site won't permit creation of another application. It won't allow me to see options for insuring more than just the one member of my household that is not covered by my current employer. I doubt I am the only one who would like to know about options other than those available for their current situation. Blocking people from getting information for both their current and potential future situations makes it harder for people to make decisions about where they work and live. If this is to be a Marketplace that enables decision making and purchasing of healthcare insurance, coverage details should be freely accessible to all regardless of their current situation. This is what you get when you are trying to nudge people without allowing them to game the system. HHS knows that there are poverty traps built into this subsidy system and so it is important to hide the effects on enrollees who might have a promotion or higher earnings foreseeably coming up.